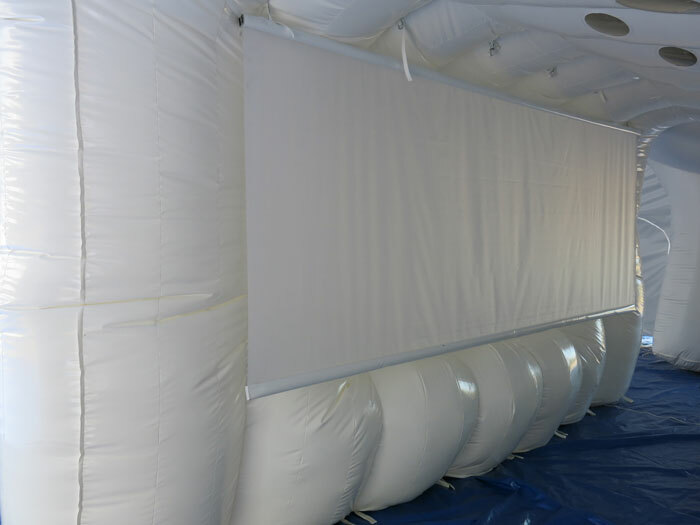 The second inflation has served to calibrate speakers, lighting tests, and confirm the high level of sound insulation of the structure. 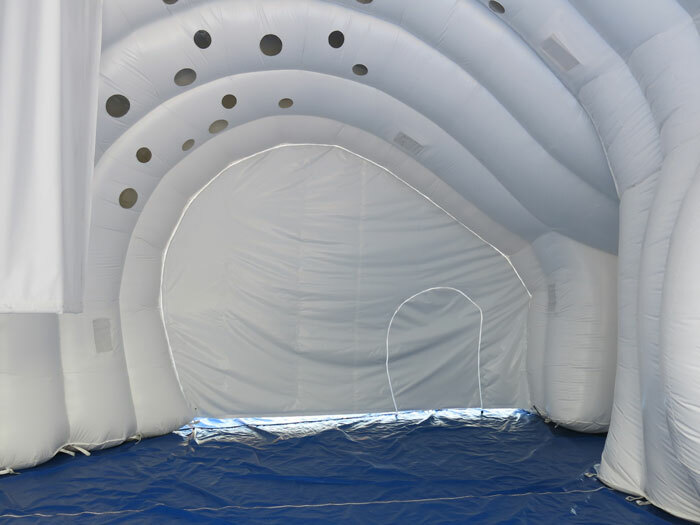 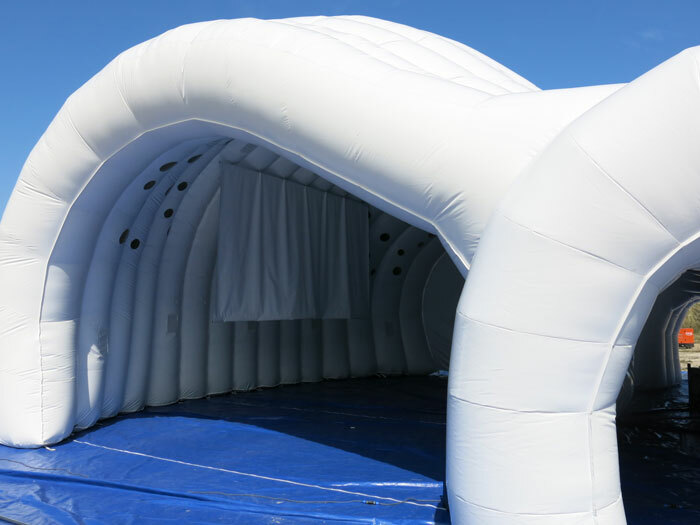 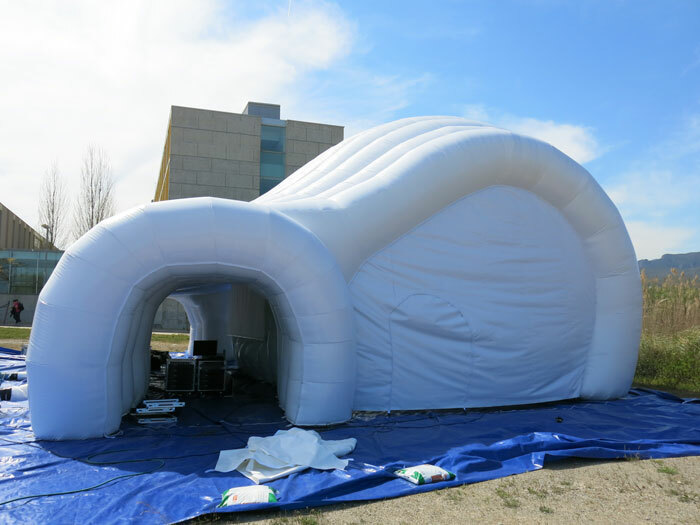 The integration of multimedia elements at inflatable structures facilitate assembly and enhance the sensory experience of the user. 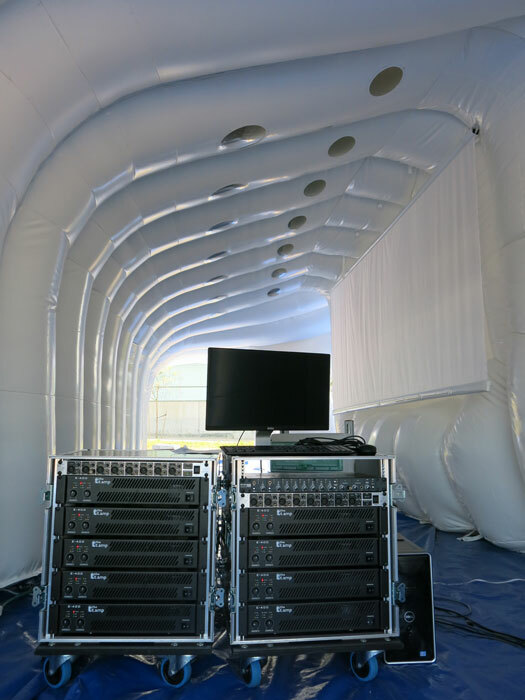 Space capabilities go beyond than a simple cover; communication in real-time, video projection and audio 3d enhances the chance to create impact.